It’s back-to-school season, which means finding lunchbox inspiration is at the top of many of our lists. And what better way to kick up your little one’s lunch than with a new twist (or three) on the classic peanut butter and jelly sandwich? Skip the store-bought varieties because with a few simple ingredients and a trusty KitchenAid® Food Processor, you can whip up homemade peanut butter in minutes. 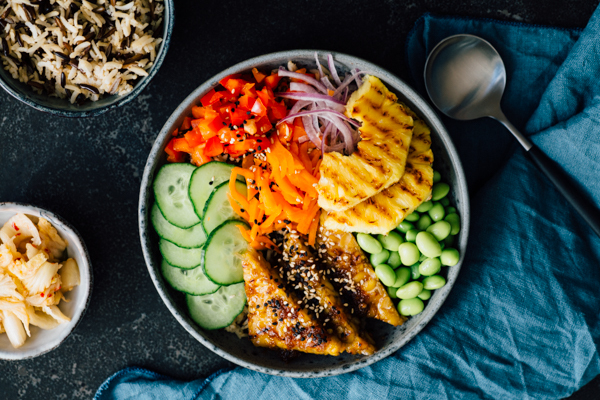 Best of all, the DIY spread can be customized to fit any and all taste buds, from fans of traditional creamy or crunchy varieties, to a spicy version perfect for peanut sauces and curries. And perhaps the new crowd favorite, a creamy chocolate peanut butter that makes the ultimate pancake, waffle or toast topper. This simple technique can be used with any type of nut, so if peanuts aren’t an option due to allergies or taste preferences, just substitute in almonds, hazelnuts or cashews for an equally as appetizing snack and spread. The mini work bowl insert makes it easy to blend together smaller amounts of ingredients, which means perfectly creamy homemade peanut butter can be made for two or 20. The peanuts will go through various stages while being blended, but it only takes minutes to go from crunchy nuts to a creamy spread. 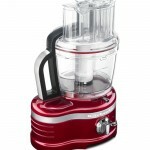 Place the peanuts and salt (to taste) in the bowl of a food processor fitted with the blade attachment. Process for 3 to 4 minutes then scrape down the sides of the bowl and continue processing as the peanuts go through various stages: First the nuts will turn into crumbles, then the crumbles will form into a ball, and then the ball will break down into creamy peanut butter. Once you reach the creamy stage, drizzle in the oil and blend just until smooth. The peanut butter is then ready to serve. Note: If you prefer chunky peanut butter, stir in 1/4 to 1/2 cup of chopped unsalted peanuts after you’ve finished blending the peanut butter. Customize your level of heat by adjusting the amounts of cayenne pepper, paprika and crushed red pepper flakes added to the creamy peanut butter. 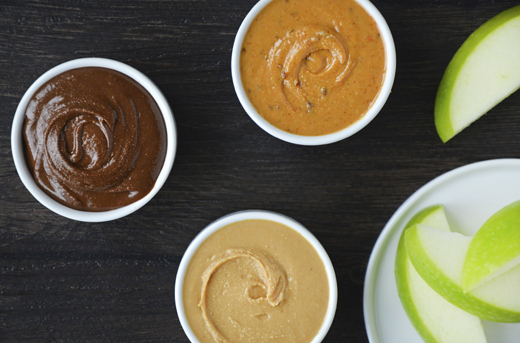 Spicy peanut butter is the perfect base for peanut sauce and adds a kick of flavor and heat to homemade stir-fry and curry. Once you reach the creamy stage, stop the processor and add the cayenne pepper, paprika and crushed red pepper flakes. Continue processing then drizzle in the oil and blend just until smooth. The peanut butter is then ready to serve. Opt for any variety of chocolate to add a sweet twist to classic peanut butter. 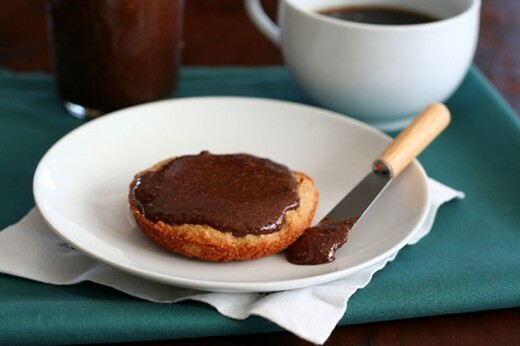 You’ll be skipping the store-bought chocolate spreads with this quick and easy recipe that’s made with just four ingredients. Place the peanuts in the bowl of a food processor fitted with the blade attachment. Process for 3 to 4 minutes then scrape down the sides of the bowl and continue processing as the peanuts go through various stages: First the nuts will turn into crumbles, then the crumbles will form into a ball, and then the ball will break down into creamy peanut butter. Once you reach the creamy stage, stop the processor and add the chocolate chips, then continue processing and drizzle in the oil and vanilla extract and blend just until smooth. The peanut butter is then ready to serve. Will I be able to make this using my KA Blender. Hi ML Adkins! Yes, you can make this recipe with your KitchenAid blender, however you’ll want to make sure the blade is covered with oil or it won’t spin (and catch the peanuts to grind them up). You’ll also likely have to scrape down the sides more often to ensure the peanuts and oil and thoroughly mixing. Hope this helps! 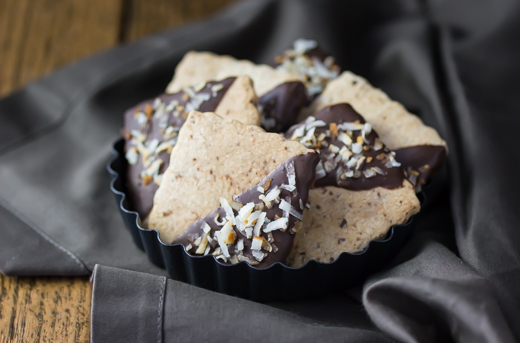 Yes, you can definitely make these peanut butter recipes using your KitchenAid blender! Although you may have to (carefully) scrape down the sides of the blender more frequently to make sure the blade is cutting through the nuts. Enjoy! Hi Patty! The peanut butter does not have to be refrigerated, however if you keep it at room temp, the oil will separate from the peanut mixture, so it’ll have to be stirred before each use (much like natural, store-bought peanut butters). It should keep for up to a month. Hope this helps!